Perhaps the most famous ship ever built by the White Star Line shipping company of Liverpool England. 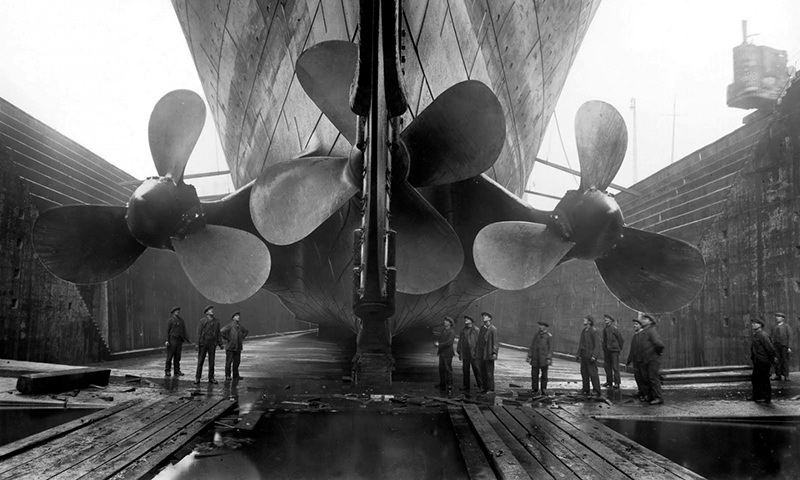 Work on Titanic started on 31 March 1909, one of three ships called the 'Olympic class'. These magnificent vessels were the industrial marvels of their age and Titanic was to be the biggest, fastest and most luxurious liner yet. She was touted as the safest ship ever built, 'unsinkable', so safe that only 20 lifeboats were installed. That was barely enough to accommodate half her 2,200 passengers and crew. Titanic set sail from Southampton on her maiden voyage on Wednesday 10 April, 1912, calling at Cherbourg in France and Queenstown in southern Ireland before heading out across the Atlantic, on course for New York. 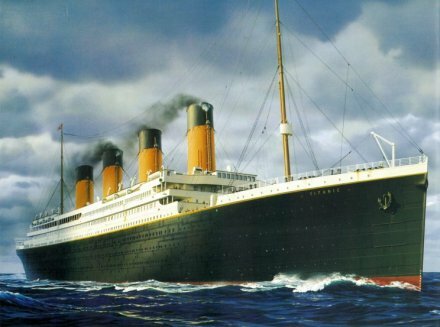 It struck an iceberg on its maiden voyage from Hampshire , England, to New York City and sank on April 15, 1912.